First 30 Miles of Delivery is Free! Welcome to RFC Portable Buildings Online! 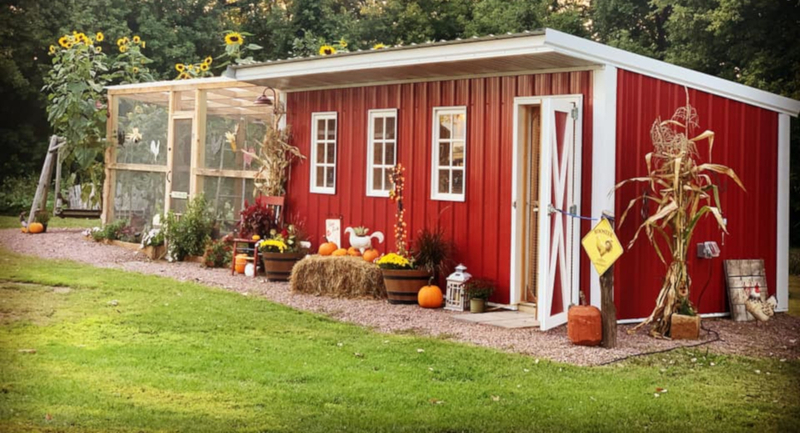 Portable buildings offer many advantages over conventional building methods that make them a worthwhile investment. 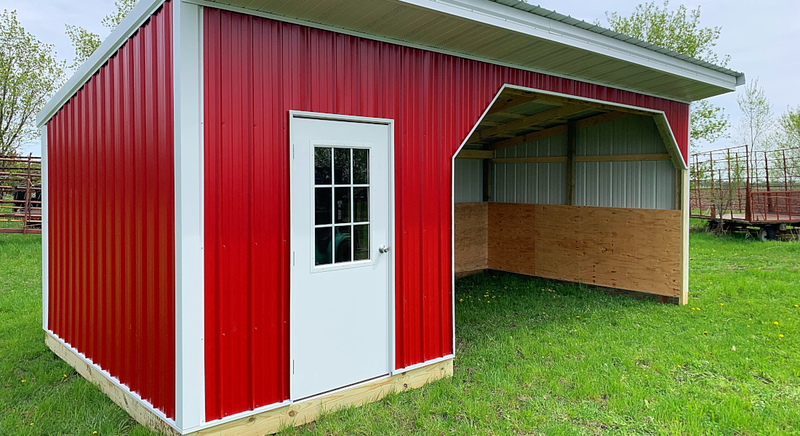 Portable buildings do not usually require a foundation and it is often easier to get authorization and permission to install them, compared to permanent structures. 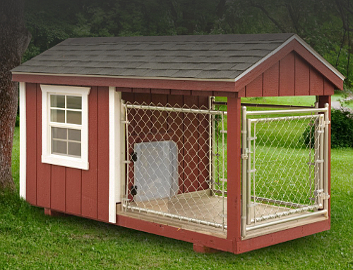 They are as safe and durable as a regular structure but are less expensive. 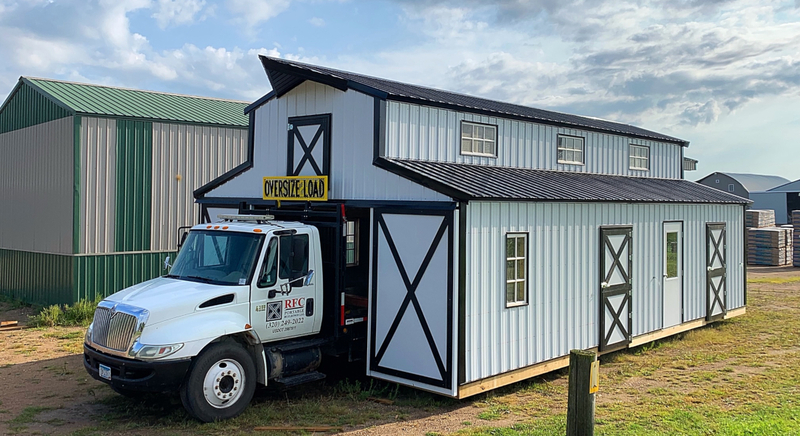 Portable buildings are versatile, easy to maintain and you can move them as often as you'd like. 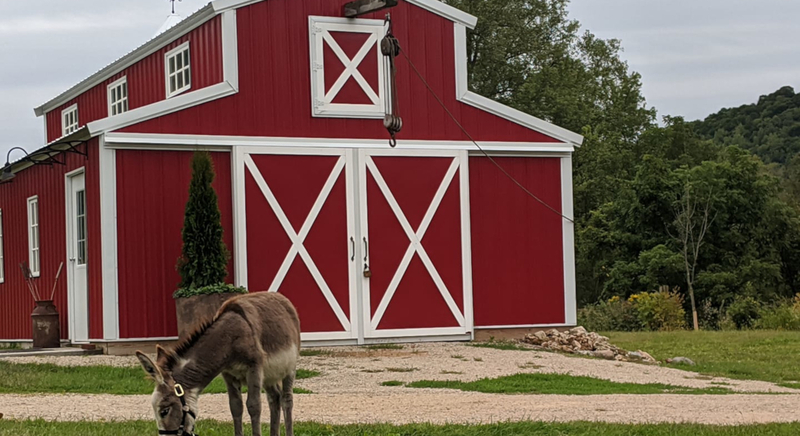 They are useful on the farm, at your place of business or even on your residential lot. 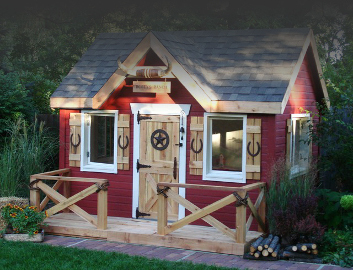 All of our shelters are hand-crafted, using commercial-grade, non-arsenic lumber and 29 gauge premium steel. In addition, most of our buildings are constructed of all screws which means no air nailing! Available in a variety of designs and styles, we showcase our most popular models on our display lot. Feel free to stop by and view in-stock models that are available for immediate delivery. 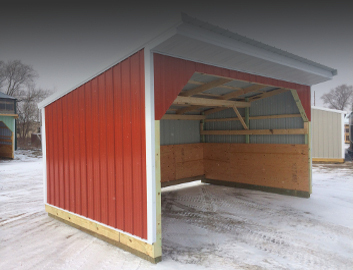 Whatever your purpose for installing a portable building, we can construct one that perfectly fits your requirements. Any color, any shape and any size up to 20' wide x 32' long. Contact us for pricing or a custom quote today!